Thanks to all our clients for over 35 years of business at the Travel Plaza! 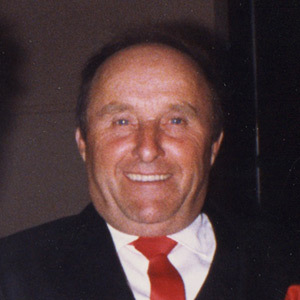 In 1977 Herb Sr. had a vision for the future expansion in this Eastern Ontario region so he bought property on the new highway 417 that linked Ontario to Quebec. He built a restaurant, a gas station and a towing business at the intersection of Highway 34 and 417. No other businesses were nearby and he immediately started to capture the business of travellers and truckers who were thrilled to have access to fuel and food on their long journey on the Trans-Canada Highway. It was a pivotal position to locate a service business like this, very shrewdly conceived and executed… much before its time. What insight this man had! Now he had a business for the next generation of the “Vink family”. His five children all worked to contribute to the building of these businesses and the success of every division they developed. Suddenly, in 1989, Herb Sr passed away very unexpectedly. He was only 55 years young. His death left Imelda in full control of this growing empire and a home full of young children. They all stood together and as a family took over the direction of the company running this ’24 hour a day / 7 days a week’ group of businesses. But tragedy struck this family once again when the youngest son Patrick accidentally drowned at the young age of 26 in 1995. Now the time had come for the family to take full control, so in 1998 Herb Jr became President, sister Joanne became Vice President and sister-in-law Nathalie became secretary when the group purchased Herb’s truck stop from Imelda and she was able to retire. In 2001, a new vision begins. Herb`s Travel Plaza undergoes some major transformations and benefits from a renovation of the buildings and restaurant. Also the addition of a convenience store, hairdressing salon operated by Danielle Vink Cadieux, truckers lounge for drivers, showers, laundry and several other services. The restaurant was licensed and modernized, giving it a new look with a friendly and warm atmosphere. The gas station had also several modifications from a full-serve to a self-serve station dividing vehicles pumps from the commercial diesel truck pumps. In 2008, we added a new dining room section to the restaurant with a fireplace and flat screen television.